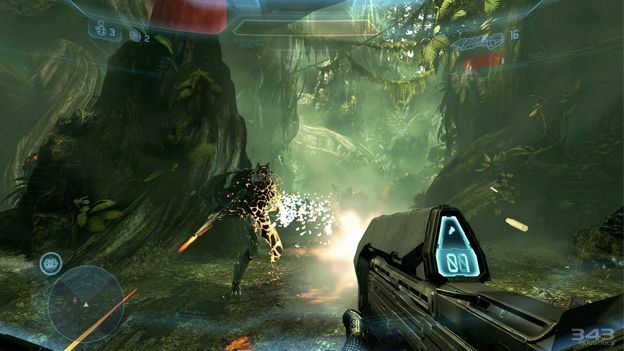 Halo 4 multiplayer on the Xbox 360 will require at least 8GB of storage space to run according to Microsoft. In a statement the company revealed that due to the increased size of the game and the limitations that the Xbox 360 has it would be impossible to play multiplayer without the extra storage space. The move is because the Xbox 360 was designed with the storage capacity of DVDs as its basis and with modern games coming in at up to 12GB on PCs there is simply no way that a game like Halo 4 can be installed in its entirety and run on an Xbox 360 with only 4GB of capacity. Microsoft does however have a workaround and it is as simple as plugging an 8GB USB flash drive into your Xbox 360. You can use a pre-configured Xbox 360 flash drive by SanDisk available in 8GB and 16GB capacities or use your own USB flash drive but you will have to format it so it works with the Xbox. Halo 4 was leaked online over the weekend and those who played the multiplayer mode on their Xbox 360 were banned permanently from Xbox Live for breaking Microsoft's code of conduct. Microsoft has said the ban will not be removed so bar creating a new account and buying a new Xbox those players won't be able to play online.